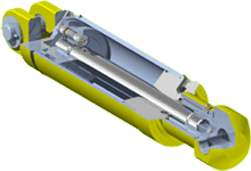 At PTE Hydraulics we design and manufacture hydraulic cylinders for almost any purpose across a range of industries. You can choose from a large range of standard cylinders or rely on our in-house engineering and development capability to produce customised cylinders for specific applications. It is the unique blend of product quality and technical capability coupled with our commitment to client service and the development of long term partnerships that sets us apart as the leading supplier of hydraulic cylinders in Australia and New Zealand.